I managed to install all with your explanations. 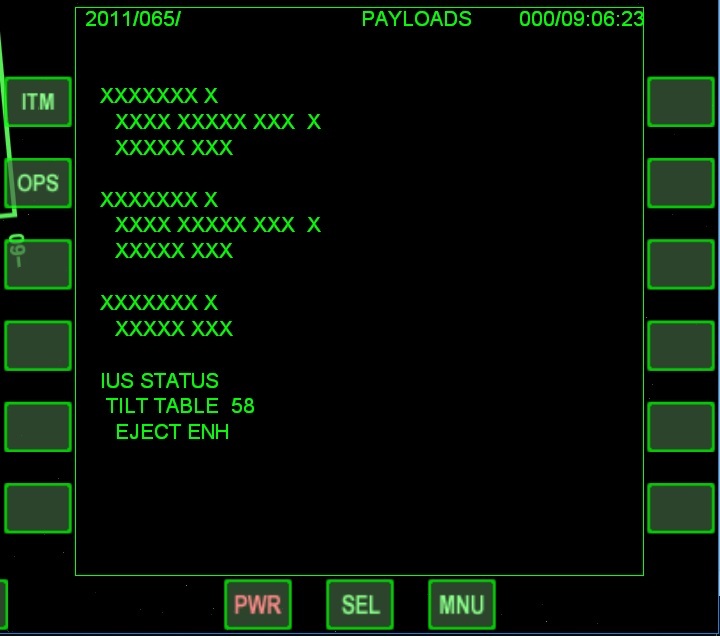 But for takeoff when I select "AND" to make it work with MS15 ignition engines and boosters does not work! Last edited by pappy2; 04-20-2019 at 08:47 PM. Any way you can do it with VB ? 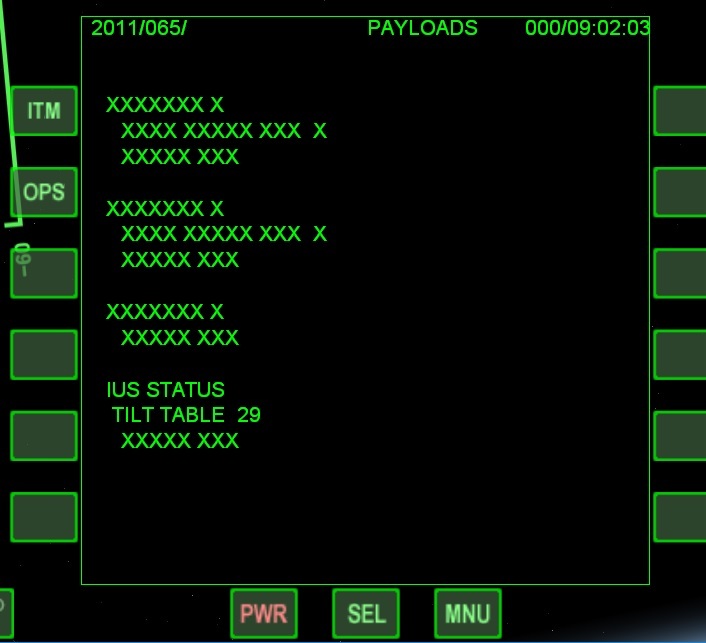 What's odd is that if I change the central tank's unique but keeping your boosters running with MS2015 works. But when I use the "hutchinson" boosters after the countdown of the MFD no ignition! So what need to do is this. Open the scn and go to the scn editor. Then go to Propellant and add fuel to all. Then save it if you want or continue. On the standard setup I think it has 1 booster and hutchison uses 2. Thank you for finding the fault quickly. By cons I have another concern "hutchison" uses two boosters well in his .ini file and I copy / paste the data for the second booster. 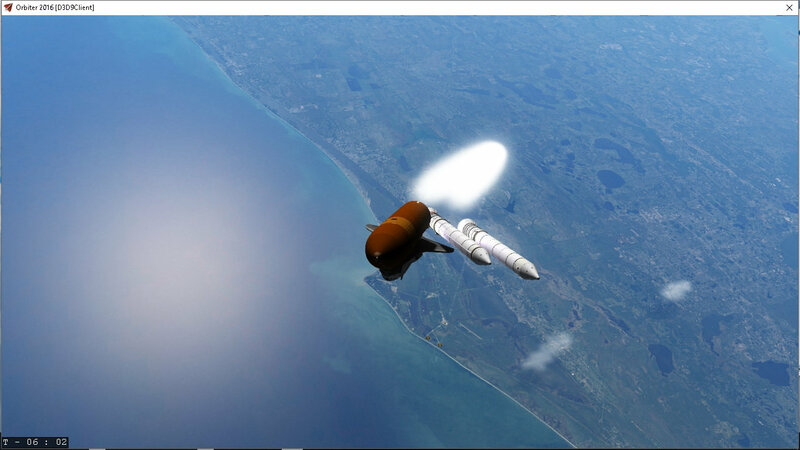 But here is the scenario STS66 during the ejection both boosters leave the same side ! 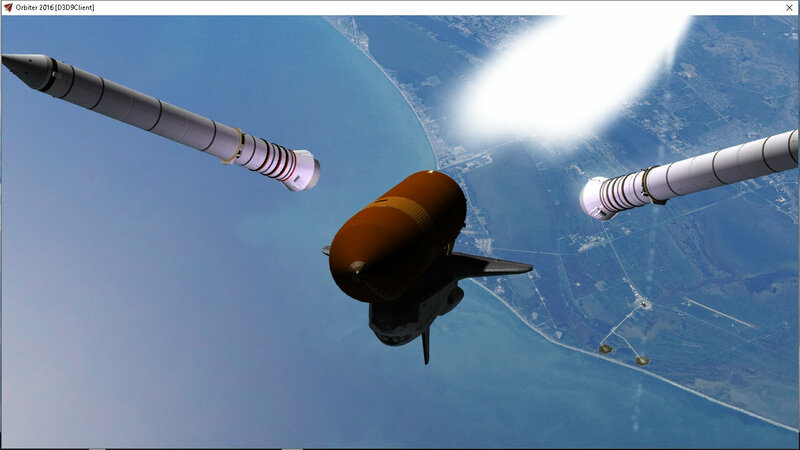 But with the scenario STS93 the two boosters are well ejected from sidebooks. I do not know how this phenomenon can occur ?? Last edited by pappy2; 04-21-2019 at 04:30 PM. 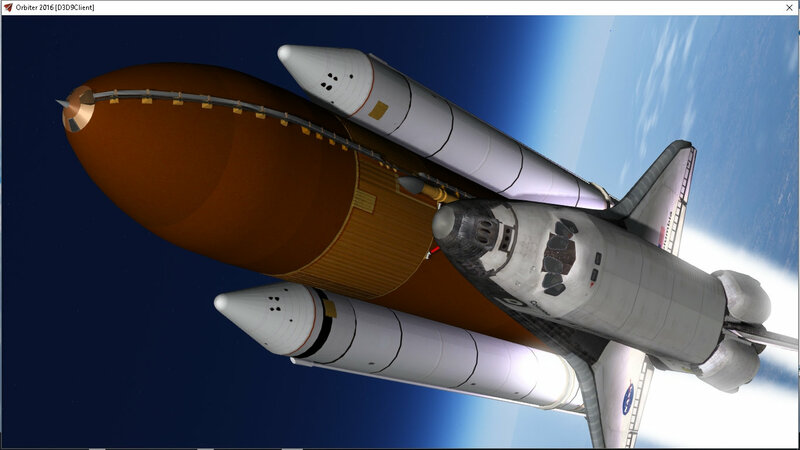 Something I would like to get working better but need help on the code part is the payload bay area. 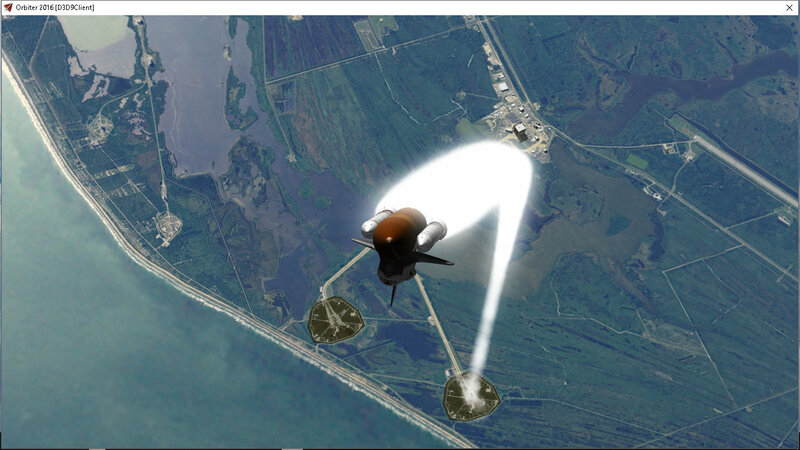 Since we have no payload mfd for the shuttle. I have it just write on the hud. Maybe a pop up window? But The code I have functions but it would be nice to show the actual tilt angle and spin rpm. 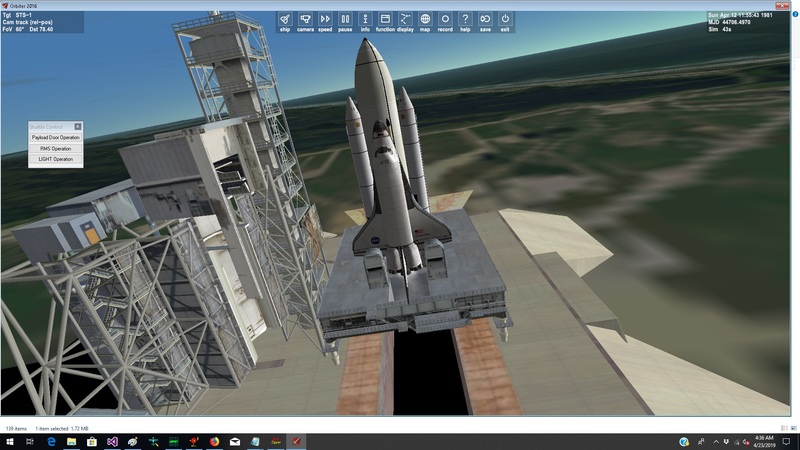 And again thank you "gattispilot"
everything is very good now both boosters separate well each side. Thank you again for your amazing work on recompiling the 2016 Orbiter Shuttle. 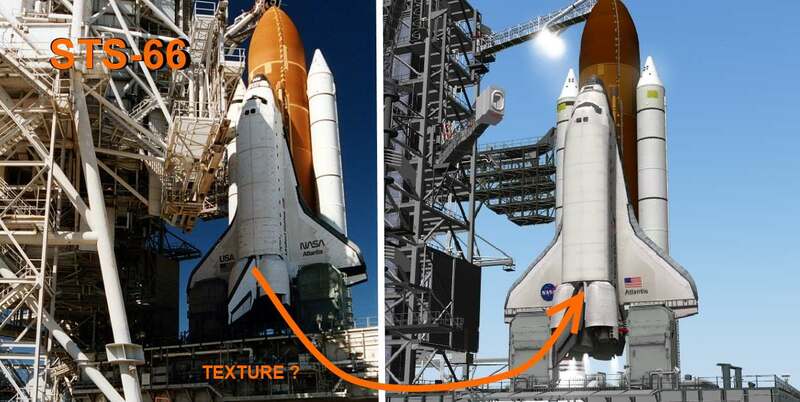 what are the lines of the files to change to have the right texture of the Atlantis Shuttle for STS-66 ?? The texture exists in your .zip, but I can not find how to change it. Last edited by pappy2; 04-22-2019 at 05:09 PM. Your Welcome. I know that SF had a different docking system. But don't think it did any thing just looks. I think I could add that panel. Not sure if needed. 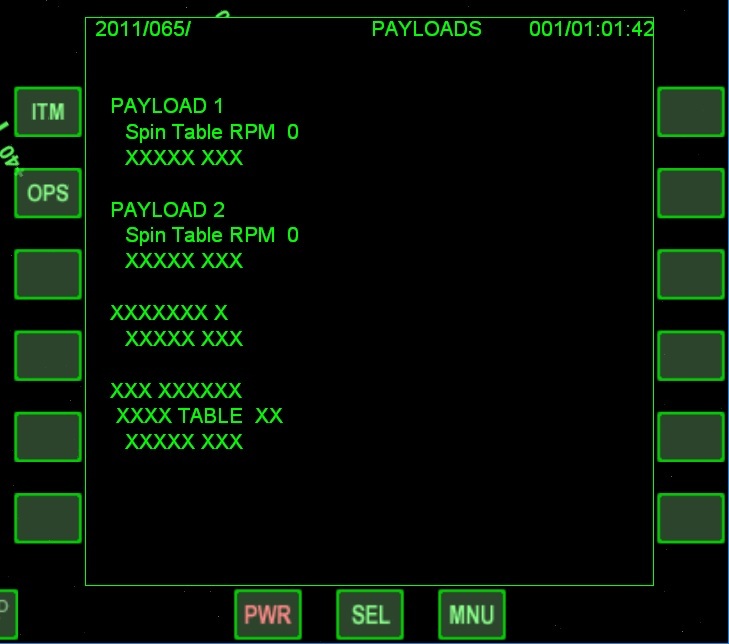 Payload Bay function like Tilt Table and spin table will be next update. Not sure about it. If we could get the all functions of the mfd to work would be great and auto land that would be GREAT. 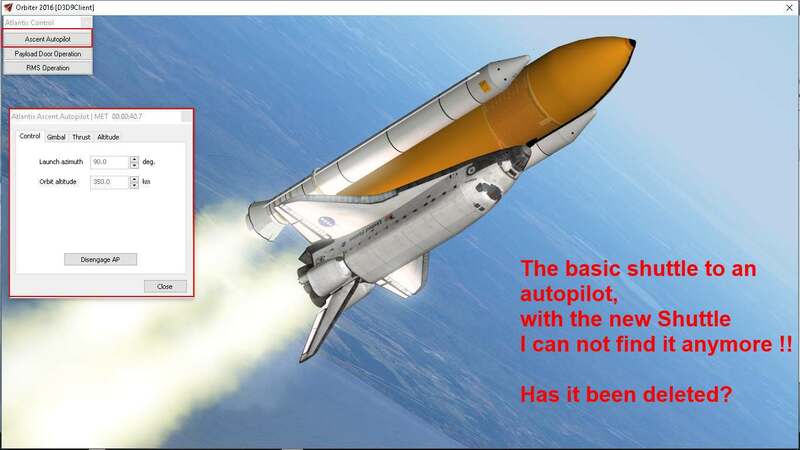 Regarding the automatic launch, the basic NAvette autopilot, can no longer use it with the recompile, this is a choice on your part ? Yes. So since the launch is ms2015 it uses the AP in Ms2015 rather than the Atlantis. 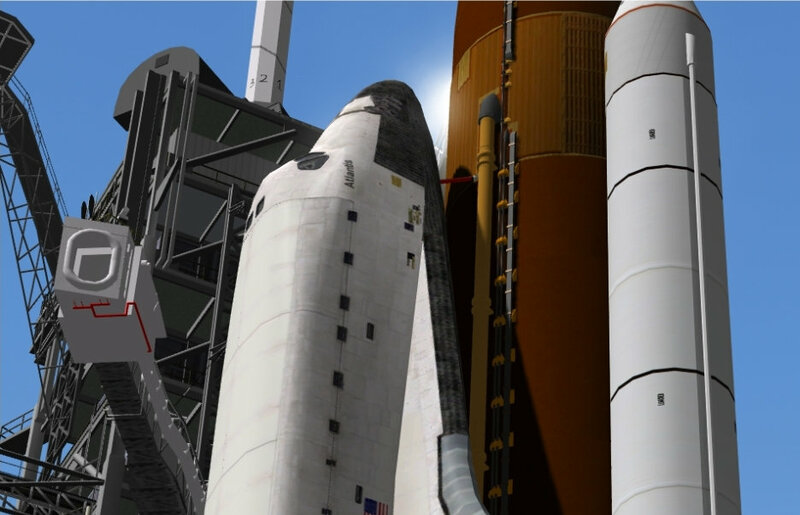 The main reason why was I was not able to switch the meshes for ET, SRB. I know SSU can. So we went with MS2015 for launch. So maybe I need to update that window. I am more than happy to have code help to fix that so we use the Ap.